I know the accounting industry. You certainly wouldn’t want me to do your taxes or audit your financial statements, but I’ve worked for one of the country’s leading accounting firms for the last 17 years. I have no accounting background other than a couple of accounting classes in college. My background is solidly in Information Technology (IT) and business management. My 17 years in the accounting industry has given me a front row seat to witness some pretty amazing changes. I believe, and I’m fairly sure most in the accounting industry would agree with me, that our industry is resistant to change. However, centralized IT systems, paperless processing, and a cloud infrastructure have all been significant changes to my firm, along with many other changes. As a firm, we think we’ve seen a big change, but we really haven’t seen anything yet. The accounting industry, like many other industries, is about to see a monumental shift. A shift that if we aren’t ready for, may mean the end of our firms. Artificial Intelligence (AI) and blockchain are poised to significantly impact the traditional parts of our business. Software companies and large accounting firms are spending millions in a race to develop next-generation products which will introduce AI into already automated and paperless systems. Software programs will efficiently and effectively analyze data, GL accounts, bank statements, investment accounts, industry data, IRS data, and on and on. This analysis will allow the IT systems to do the traditional analysis and testing that’s been done by accountants for hundreds of years. Blockchain and crypto-currency will allow IT systems to monitor the flow of every cent through an organization and beyond. Crypto-currency will allow IT systems to trace every dollar by attaching a “token” to the money that flows within a company. That token will show where the dollar has been, in the door as revenue, moving between accounts in the company, and out the door through payroll, accounts payable, taxes, etc… These are traditional activities that accountants worked hard on and spent valuable time and effort auditing to ensure compliance and integrity of the companies they serve. These changes won’t just affect the accounting industry, it will affect almost every industry today. Manufacturing and processing companies, with robots that can not only process tasks but that that can interpret feedback, altering those tasks to the desired outcome. There are examples out there of virtually every industry changing dynamically. 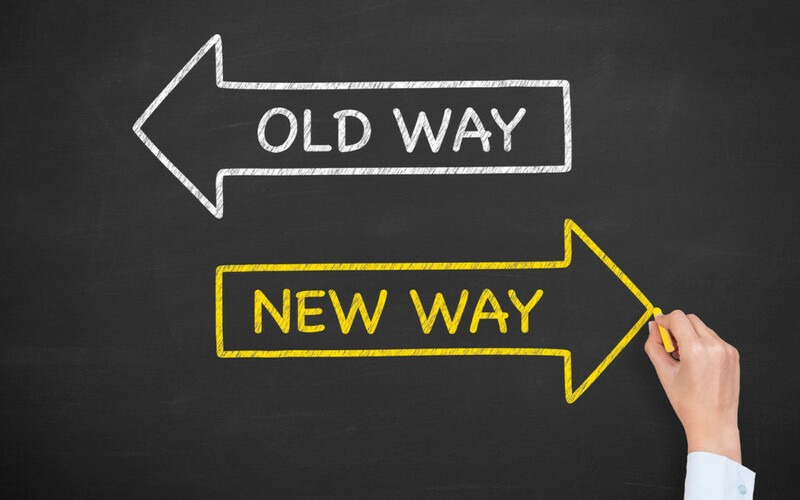 Are we ready to help our clients navigate these changes? The reality is, we’ve got to change or we will be picking up the “scraps” and eventually become irrelevant. We need to change faster and better than we ever have before. The good news is we provide great value, and that value is not where many of us think. Our real value isn’t the ticking and tying of the numbers. It’s not being able to fill out tax forms correctly. It’s our knowledge of business. It’s our knowledge of markets and laws. It’s our understanding of our client’s business and our genuine passion to see them succeed. We are trusted advisors, and for our firms and our clients to succeed, we have to lead the way. So, where do we start? That can be daunting. There’s much that hasn’t been defined yet. But there are some things we can do. First, if you haven’t embraced technology, do it now. There’s no time to waste. Get on board with the latest software, and more importantly, deploy new processes in your current work to leverage and take advantage of the software that’s available now. Too often we fight software and technology, trying to make it fit the way we’ve always done things instead of embracing a new way. Technology developers spend a great deal of effort in looking at a process that might not be the way we would do it, but it is more efficient in the end. In the accounting industry, it’s important to remember that the value we bring our clients isn’t in the tax return, the payroll, or the audit report, it’s in the advice and trusted relationship that we bring to our clients. Technology will never be perfect, but it can push us forward, making us more efficient and freeing up our time to do what we should be doing, the things that brings the most value to our clients. It can allow us to ignite a passion to do what we love. Stop focusing on what doesn’t matter. How you reach the end result doesn’t really matter to the customer. Allow your organization to try new ways to be more efficient in generating the information you need to do what you do best. We too often spend a great deal of time focusing on the little things that in the end, don’t matter. In many ways this is the curse of the CPA, you are trained to look at the details, to track every dime, but now we have IT systems that can do that for you, allowing you to focus on the bigger picture. Be a visionary. Contrary to popular belief, great visionaries are not blessed with being able to see the future. They are not fortune tellers. In reality they spend a great deal of time talking to clients, reading, and monitoring industry and technological trends. This allows them to see what is likely to happen to them in the future. Be that person for your firm, and more importantly, for your clients. The great thing is, you probably have a whole firm full of consultants that are focused on their clients and the industries that they serve. Leverage that. Get your IT systems where they need to be; as advanced as possible. This can be tough if you are too small to invest in the IT staff and technology that is necessary to build a next-generation environment. But there is good news. There are good IT cloud providers that can instantly boost your firm to an advanced platform. Just be sure to select a vendor who is committed to standing with you as a partner just as you do with your clients. Lastly, take some risks. That’s a pretty tough proposition for an industry that is very risk adverse. We have to be willing to take risks, albeit, strategic risks. Don’t be afraid to try something, discover it isn’t the right process, and then try something else until you get it right. This is how we’ll make monumental shifts forward. The big firms out there are changing and heavily investing in these changes. If they don’t now have the ability to reach into your markets, and client base, and provide services at a price point and depth that you can’t, they will soon. Embrace change, grab hold of technology and focus on what really matters, helping your clients succeed! Robert Culpon is the Chief Information Officer for Anderson ZurMuehlen Technology Services (AZTS). With over 25 years of IT experience with companies of all sizes, Robert leads AZTS’s technology initiative of bringing a true IT partnership to their customers. AZTS supplies technology solutions including PwrCloud, Security, and Business Intelligence. With over 60 years of experience in professional services, Anderson ZurMuehlen brings a unique approach based around a partnership with its clients. Robert can be reach by emailing rculpon@aztechnologyservices.com. ← Should I be concerned about data breaches with my small business?